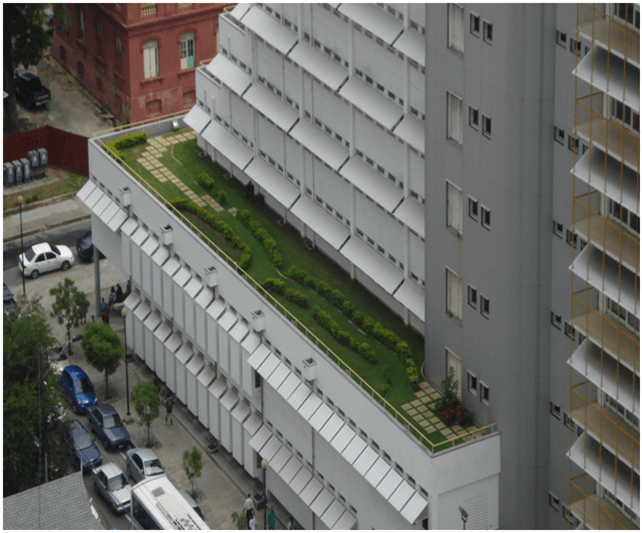 Under the stepped roof gardens of this project, a Lightweight Cellular Insulating Concrete falls screed was placed to provide surface drainage on the structural concrete deck. A new monolithic mastic asphalt waterproofing membrane complete with perimeter skirting and termination detailing was installed with an Index Protefon Tex drainage and protection layer installed as a base layer for the growth media and plant foliage. This project was completed on time, within budget and to the satisfaction of our client. A fifteen (15) year WSCL System Warranty was issued to ensure the waterproofing ability of the materials and workmanship.